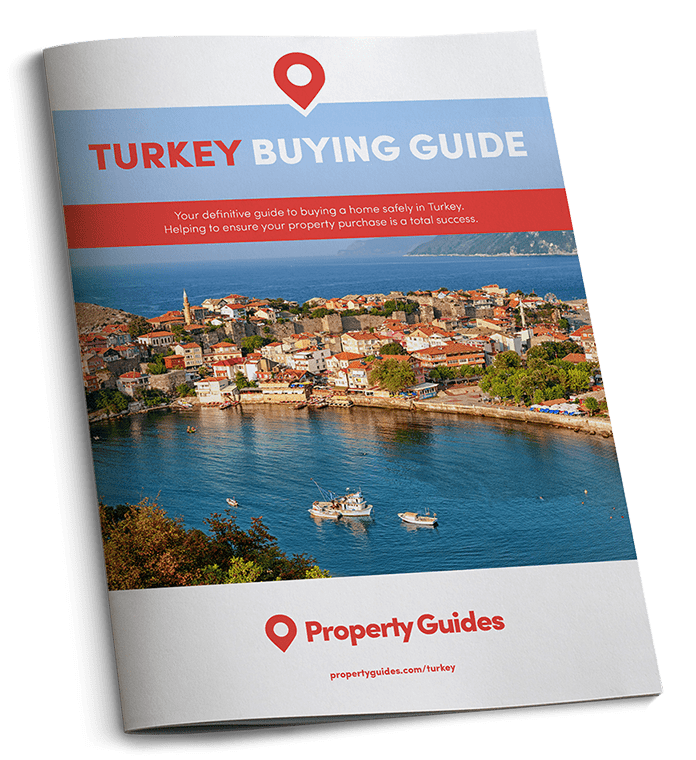 Where should you buy a property in Bodrum? Protruding into the Aegean Sea from the south-west coast of Turkey, the Bodrum Peninsula caters for every taste and budget. From the upmarket resorts to its relaxed coastal villages, tourism and tradition live harmoniously side by side here. Named after the seaside resort town near its centre, it’s also home to other popular destinations, including Göltürkbükü, Gümüşlük, Yalıkavak and Bitez. This once quaint fishing village has developed into a major tourist resort, attracting over one million visitors each summer. Homer must have stood overlooking the entrance to Bodrum’s dazzling bay, where the Med meets the Aegean, when he described it as “the land of the eternal blue”. Almost 3,000 years later, and the town is as popular for its vibrant nightlife as its azure seas and pristine beaches. 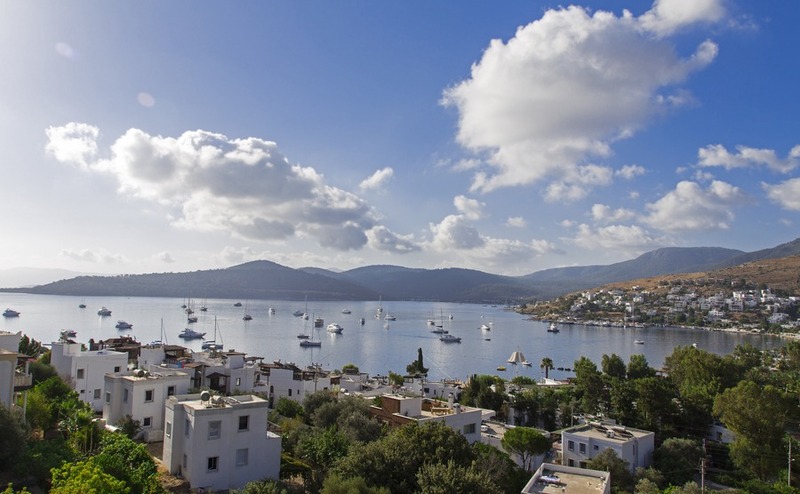 The local authorities have managed to preserve Bodrum’s Aegean character. Unlike some of its contemporaries in the Med, Bodrum manages to provide respite from the hedonism, making it an ideal destination for any age group. When you’re not painting the town red, you can take your foot off the pedal by strolling round the white-plastered backstreets past flower-filled cafes, or immersing yourself in the local history. Despite its popularity and infectious energy, you won’t have to crane your neck to take in a high-rise skyline. By restricting building heights and protecting the traditional white-washed houses, the local authorities have managed to preserve its Aegean character. You’ll feel like you’re getting away from it all as you wind you way down the picturesque coastal road that leads to Gümüşlük, in the north-west corner of the peninsula. Once there take a dip in the secluded bay, before tucking into some fresh fish at the simple yet delicious harbour side restaurants. This authenticity comes at a price, however, as more and more visitors with deep pockets head to the village. It’s still possible to have all this on your doorstep for an affordable price, however. This three-bed contemporary villa could be yours for just €260,200 (£232,000). Located 150 metres from the beach, it also offers a communal swimming pool and private garden. Big budget buyers can be found splashing their cash in one of the Aegean’s most upmarket beach getaways. Göltürkbükü, a combination of two neighbouring villages – Türkbükü and Gölköy – is frequented by celebrities, politicians and lovers off all things bling during the summer months. The most expensive properties are found on the western shores of the main beach. Cross the tiny wooden bridge and prices dip a fraction. A former fishing and sponge-diving village, today Yalıkavak is home to a bustling harbour and modern marina. Palmarina Bodrum (formerly Port Bodrum Marina) has 620 berths for yachts up to 100 metre in length, a 2,500 seat amphitheatre, bars, restaurants, shops and plenty of modern homes. The village’s upmarket status is further demonstrated by its popular private beach club scene, including Xuma and Dodo which attract the Turkish elite. That’s not to say you can’t find affordable property around here. This two-bed villa is centrally located in a peaceful residential area. For just €277,000 (£247,000) it comes fully furnished with sea views, a private swimming pool and garden. Bitez is both a popular resort and functioning village. Therefore, anyone buying here needn’t worry about it going into complete hibernation out of season. Olive and citrus groves separate the village from the beach, where restaurants and cafes line its shores. 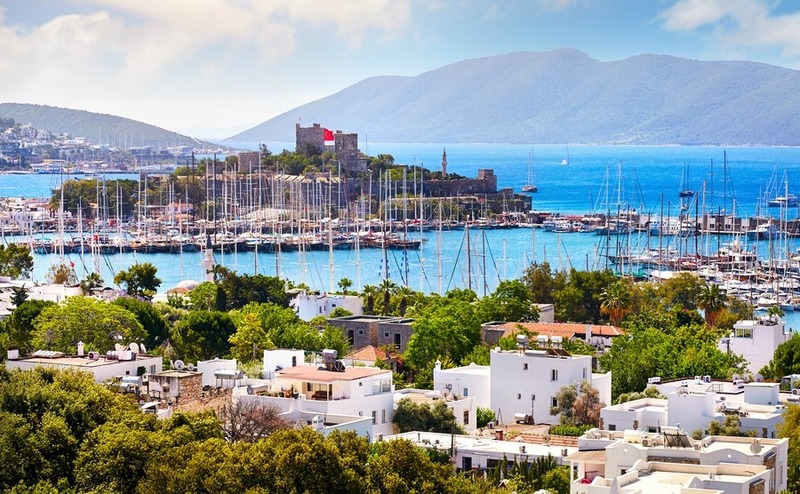 Bodrum Town is just a short drive away, but the pace of life here is more sedate than its noisy neighbour. Milas-Bodrum Airport is located just a short distance from the peninsula. How long will take you to transfer to your favourite location? The construction of a new international terminal at the airport in 2012 has made the area even more accessible for overseas property buyers. 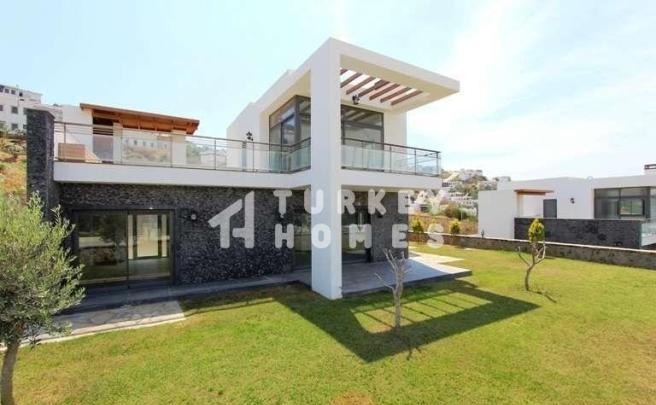 Wherever you choose to buy in Turkey, effective negotiation could help you secure your dream home. Download our guide: How to Negotiate Abroad.